Your cultural itinerary includes sights like Queensland Museum & Sciencentre and Nepalese Pagoda. Attractions like Lone Pine Koala Sanctuary and Dicky Beach make great kid-friendly stops. There's lots more to do: admire the masterpieces at Queensland Art Gallery, stroll around South Bank Parklands, and kick back and relax at Moffat Beach. 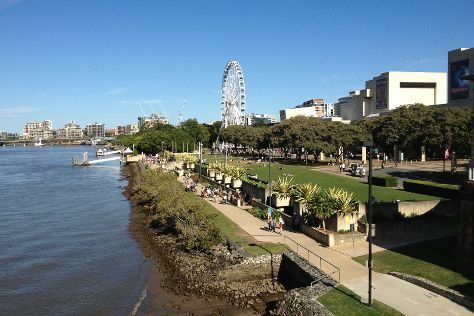 Plan trip to Brisbane with our itinerary maker to find out where to go and what to do. Belfast, UK to Brisbane is an approximately 28-hour flight. You can also do a combination of bus and flight; or do a combination of ferry, bus, and flight. Traveling from Belfast to Brisbane, you'll lose 10 hours due to the time zone difference. Expect much hotter temperatures when traveling from Belfast in February; daily highs in Brisbane reach 33°C and lows reach 24°C. Finish up your sightseeing early on the 1st (Fri) so you can go by car to Gold Coast. Kids will enjoy Sea World Theme Park and Burleigh Heads Beach. Take a break from the city and head to Surfers Paradise Beach and Surfers Paradise Golf Club. Explore Gold Coast's surroundings by going to Tweed Regional Gallery & Margaret Olley Art Centre (in Murwillumbah) and Cape Byron Lighthouse (in Byron Bay). There's still lots to do: find something for the whole family at Warner Bros. Movie World. For other places to visit, where to stay, reviews, and other tourist information, read our Gold Coast trip planner . You can drive from Brisbane to Gold Coast in an hour. Alternatively, you can take a bus; or take a train. In March, plan for daily highs up to 32°C, and evening lows to 23°C. Finish up your sightseeing early on the 4th (Mon) so you can travel to Bondi. 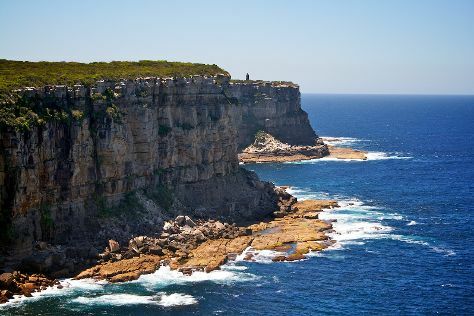 Your cultural itinerary includes sights like Vaucluse House and Norah Head Lighthouse. Escape the urban bustle at North Head Sanctuary and Symbio Wildlife Park. Venture out of the city with trips to The Entrance Heritage Walk (in The Entrance) and Wollongong (Nan Tien Temple & Wollongong Art Gallery). For where to stay, other places to visit, traveler tips, and tourist information, read our Bondi vacation builder site . The Route module can help you plan travel from Gold Coast to Bondi. March in Bondi sees daily highs of 30°C and lows of 22°C at night. Wrap up your sightseeing on the 7th (Thu) to allow time to travel to Airlie Beach. 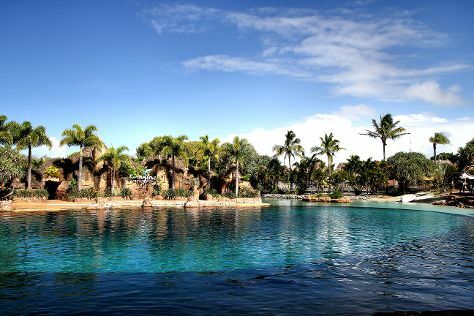 Visiting Scuba & Snorkeling and Airlie Beach Lagoon will get you outdoors. Get a sense of the local culture at Above & Below Photography and Art Whitsunday Gallery & Shop. On the 9th (Sat), spend a thrilling day on the water with a speed boat tour. There's more to do: zoom along the surf with a waterskiing or jet-skiing adventure. For ratings, photos, other places to visit, and tourist information, read Airlie Beach sightseeing planning app . Explore your travel options from Bondi to Airlie Beach with the Route module. Traveling from Bondi in March, expect a bit warmer with lows of 28°C in Airlie Beach. Finish your sightseeing early on the 10th (Sun) so you can take a bus to Whitsunday Island. 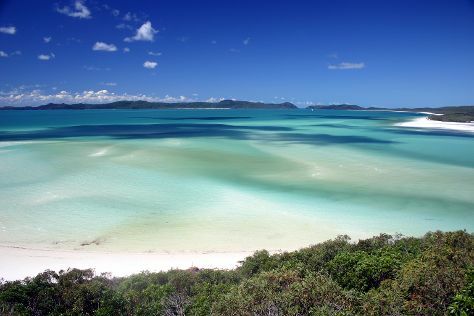 Start off your visit on the 11th (Mon): head off the coast to Whitsunday Islands National Park and then kick back and relax at Whitehaven Beach. To find reviews, photos, and other tourist information, read our Whitsunday Island itinerary maker . You can take a bus from Airlie Beach to Whitsunday Island in an hour. Another option is to ride a ferry. March in Whitsunday Island sees daily highs of 34°C and lows of 25°C at night. Finish your sightseeing early on the 11th (Mon) so you can travel to Port Douglas. Step out of the city life by going to Safaris and Scuba & Snorkeling. Kids will enjoy Hartley's Crocodile Adventures and Wildlife Habitat Port Douglas. There's more to do: view the masterpieces at Des Spencer Galleries and look for gifts at With Sugar. To find other places to visit, where to stay, maps, and more tourist information, use the Port Douglas trip planner . Traveling by combination of flight and shuttle from Whitsunday Island to Port Douglas takes 4 hours. Alternatively, you can do a combination of bus, flight, and shuttle; or take a train. In March, daily temperatures in Port Douglas can reach 36°C, while at night they dip to 27°C. Finish your sightseeing early on the 14th (Thu) to allow enough time to drive to Cairns. Take a break from the city and head to Scuba & Snorkeling and Esplanade Boardwalk. Get some cultural insight at Village Gallery and Underart Gallery. Step out of Cairns to go to Palm Cove and see Palm Cove Beach, which is approximately 32 minutes away. Spend the 16th (Sat) wandering through the wild on a nature and wildlife tour. Next up on the itinerary: brush up on your military savvy at The Australian Armour & Artillery Museum, pause for some serene contemplation at St Monica's Cathedral, take in the exciting artwork at Bones and Jones, and explore the world behind art at KickArts Contemporary Arts. For more things to do, other places to visit, where to stay, and tourist information, use the Cairns holiday planning app . You can drive from Port Douglas to Cairns in 1.5 hours. Other options are to take a bus; or take a shuttle. In March, daily temperatures in Cairns can reach 36°C, while at night they dip to 27°C. Wrap up your sightseeing on the 18th (Mon) early enough to travel back home.